When it comes to a quick breakfast, food court establishments have generally been the go-to and sometimes only option for eaters. For those working or residing in the Toronto downtown core, you now have another choice: Little Fin is currently opened earlier and serving breakfast weekdays from 8-11am. 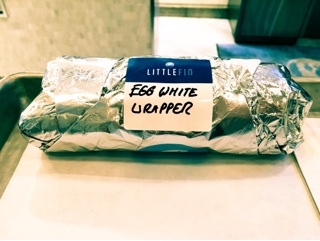 All are freshly made and in under ten minutes I was presented with a piping hot (Egg) White Wrapper ($5.50); all prepped to go should a dash to the office be in order. In my case, I chose to give myself a break and enjoy the wrap at Little Fin – they have a few tables and numerous bar stool seats in the store. 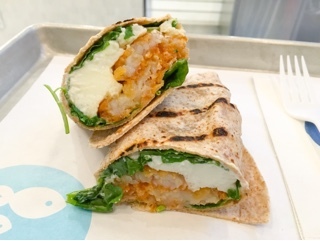 Wrapped in the well-grilled whole wheat tortilla was an egg white omelette, fresh spinach (normally kale) and a hash brown that added a great crunch. I’ll be honest, I wasn’t expecting the “healthy” sounding breakfast to be very flavourful, but the layer of soft goat cheese and drizzle of slightly spicy sauce (it seems to be the same as what's on the po’boy) made the wrap delicious! It was a tough decision first thing in the morning. After seeing the chicken and waffles sandwich ($6.50) on Instagram, the thick piece of fried chicken with the waffles as the “bread” was calling to me. 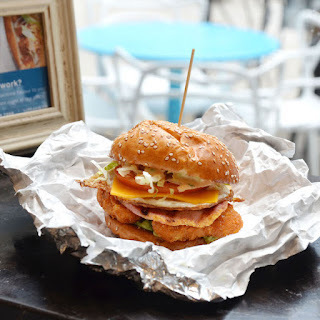 And I was really hungry so the the Ultimate Brek-Fin Sandwich ($7) would have also been nice: slices of peameal bacon combined with a fried egg, hash brown, cheese, avocado, tomato and lettuce on a toasted sesame bun. Yet with a beach vacation around the corner, I refrained myself and was thoroughly satisfied with the egg white wrap. 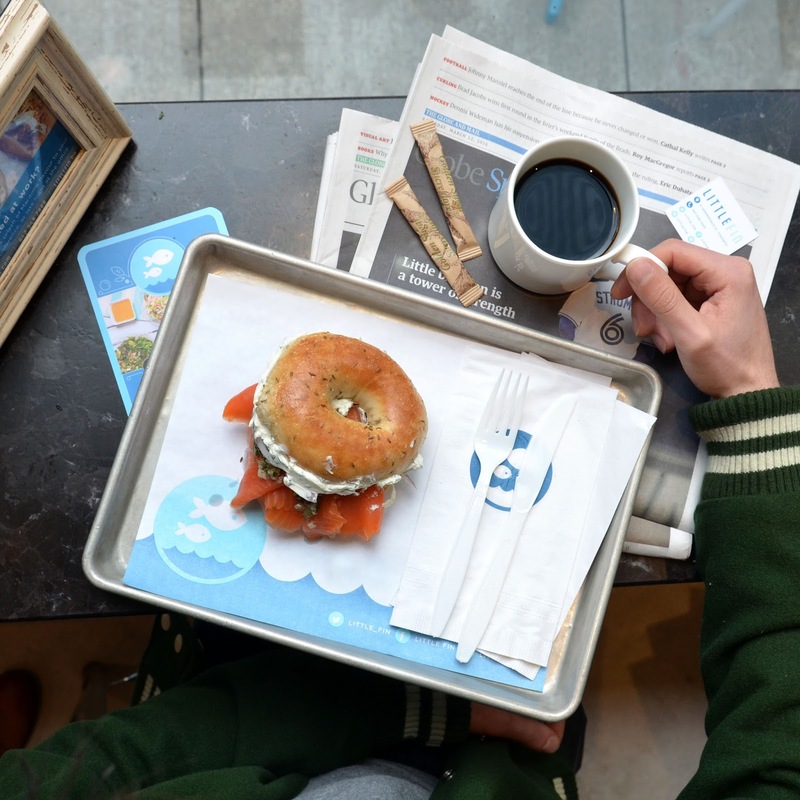 For those who’d like seafood for breakfast, Little Fin also offers a smoked salmon bagel ($6). On April 8th they’ll select a winner to win free breakfast every Monday for a month! What a great way to beat the Monday blues and also try all four of their tasty sounding sandwiches. Disclaimer: The above breakfast wrap was complimentary. Rest assured, as noted in my mission statement, I will always provide my honest opinion - for you and the restaurant's sakes.